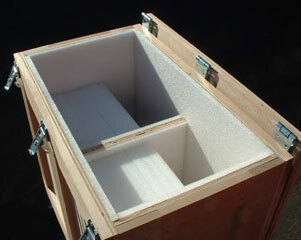 Crates built by Caseworks Crating has become a science for us after making custom wooden crates for over 20 years - Our crates are custom engineered with dimensional and construction drawings for assurance of a quality-built product made to your specifications. 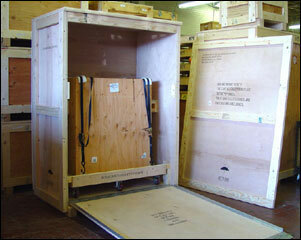 We build our crates to be extremely durable to withstand repeated shipping and handling. 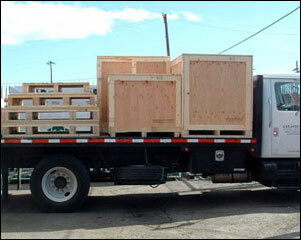 Our crates are custom constructed with standard fir materials or your choices of buiding materials and optional wood species, including birch, mahogany, oak, or any number of available plywoods or lumber. 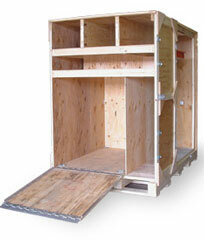 Our crates can be custom manufactured with optional carrying handles, hinged lids and doors, latches, hasps and locks, foam lined interiors and Skid-Mates® shock-resistant feet, partitions, drawers, ramps and casters. 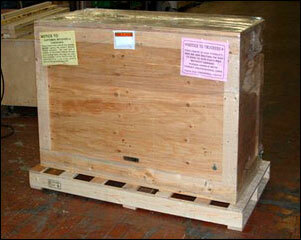 Crates are labeled with shipping instructions, and any warnings necessary. 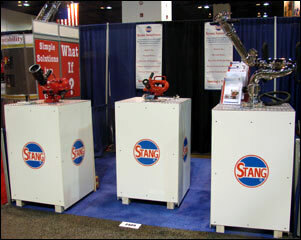 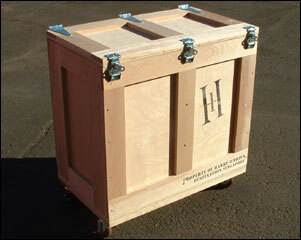 Crates can be labeled with your company logo or any promotional signage if desired. 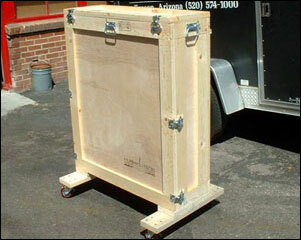 Crates made from high quality materials are essential for protecting fragile items that require a higher level of care. 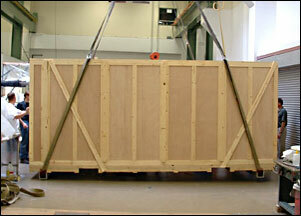 We build our crates according to the cargo being stored inside during shipping, making sure the item or items are secure and cushioned if necessary. 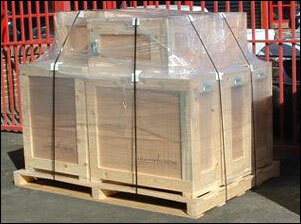 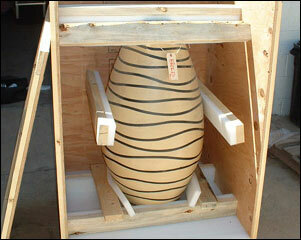 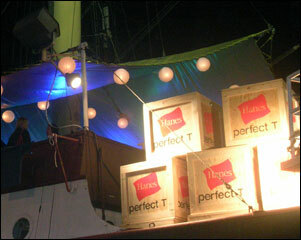 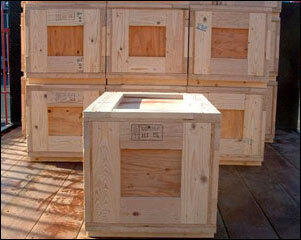 Crates with appropriate bracing ensures safe arrival of your precious contents to your destination. 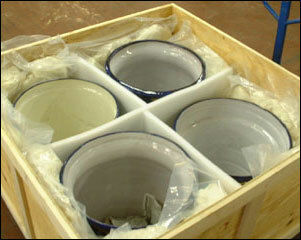 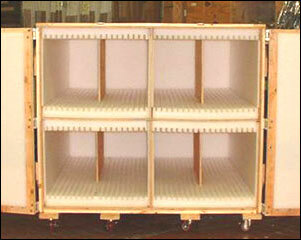 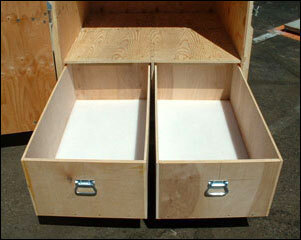 Our custom crates are suitable for both shipping and storage of your valuables. 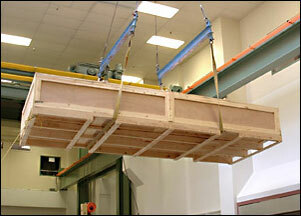 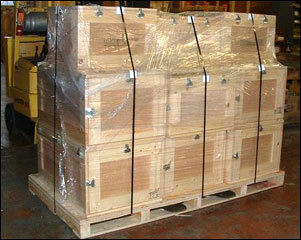 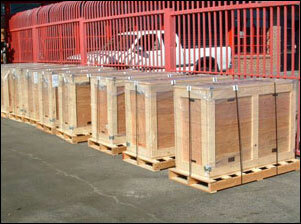 Caseworks crates are made in the USA, and adhere to strict construction standards that help make our crates last. 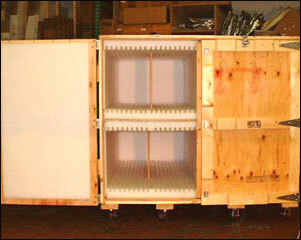 Our friendly staff of professionals can help you get started and get you exactly the crate with any of our options you need for your crating project. 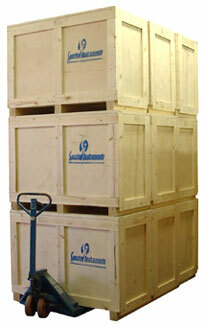 Whether you need one or one thousand crates, Caseworks crates are designed to be durable to withstand frequent shipping and handling. 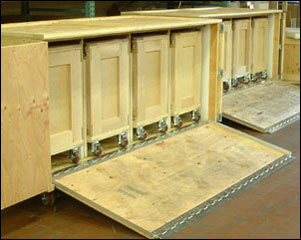 Whatever your crating needs, Caseworks builds durable custom wooden crates that will last for years to come.